« Life of a Blogger: Introvert or Extrovert? The giveaway for this challenge will run from today until 11:59 pm Saturday, February 22nd. 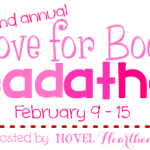 This is a shared giveaway between Confessions of a Bookie Monster and Novel Heartbeat. Please be sure to read the directions very carefully, as the pictures are numbered specifically on each blog. Please do NOT leave answers in the comments. That’s what the Rafflecopter is for. 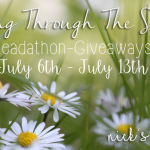 You must have already been signed up in the Readathon to participate (sign ups are now closed). This requires some sort of sign-up/progress post! You must guess at least 5 total covers correctly to win. Because we are paying for these giveaways out of our own pockets, it is a requirement that you follow BOTH hosts by email or Bloglovin’. My images are numbered 1-5. Those numbers correspond to the Rafflecopter entries. Stop by Confessions of a Bookie Monster for pictures 6-10! HINT: Covers are our most anticipated Young Adult 2014 releases! Omg I always love these cover guessing things! I do them even if I’m not participating in whatever event they’re for because it makes me so happy lol. Holy smokes, this is incredibly difficult!! I have been working on these since yesterday and I’m STILL stumped :P I love these games!! !